There are two ways to travel from Koh Phangan to Koh Phi Phi. You can do the journey independently by buying separate tickets with the various ferry and bus operators that will take you for each stage of the journey. Alternatively you could book a joint bus and boat ticket with a single travel company and travel direct. On this route there is no quick way to fly from Koh Phangan to Koh Phi Phi as neither of these islands has an airport. 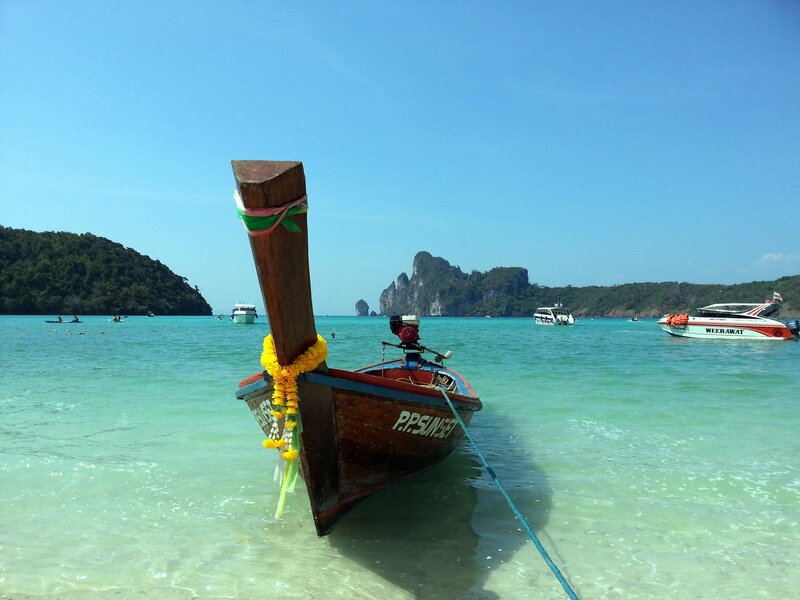 There are three companies providing direct travel services from Koh Phangan to Koh Phi Phi. The fastest service from Koh Phangan to Koh Phi Phi is the 07.00 service with Songserm which completes the journey from Koh Phangan to Koh Phi Phi in 8 hours 00 minutes. All four services depart from Koh Phangan’s main ferry pier in Thong Sala. All four services arrive at Ton Sai Pier in Koh Phi Phi. Tickets at the same price as you would pay if purchased the tickets at the ferry pier in Koh Phangan. The only difference between buying online and buying at the ferry pier on the day of travel is that by booking online you can guarantee your seats in advance. Tickets sometimes sell out before the day of travel, particularly during high season and for 3 or 4 days each month after Full Moon Party. 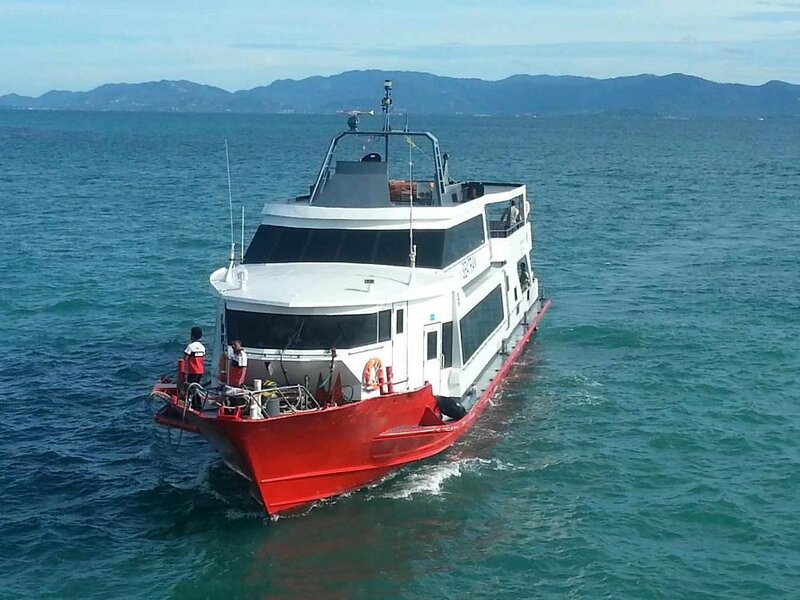 This service aims to arrive on the Andaman coast to connect with the 15.00 Chaokoh ferry to Koh Phi Phi which arrives in Koh Phi Phi at 16.30. Passengers are given stickers to wear so that the travel company staff can assist people in making the necessary connections between ferries and buses along the way. The Seatran Discovery Company is primarily a ferry operator with a fleet of 7 ferries. They also operate their own bus and minivan services to connect with the ferry ports. For the route from Koh Phangan to Koh Phi Phi the first section of the journey is a Seatran Discovery Ferry although the sea crossing from the mainland to Koh Phi Phi is on a Chaokoh Ferry. Seatran Discovery ferries are medium modern boats which offer a fairly good level of comfort with seating inside in an air-conditioned cabin with a small shop selling food and drink. They also have an outdoor seating area upstairs. This service is slightly cheaper than the Seatran Discovery Service and 30 minutes slower. The major difference between the two services is the ferries that they use. The Phantip Travel service uses the car ferry from Koh Phangan to Donsak on the mainland. It also uses a different and slightly less comfortable ferry for the journey from Krabi province to Koh Phi Phi. The Phantip Travel Company has been in operation for nearly 50 years and provides travel services to an average of over 40,000 customers a month. This is a large and highly professional company offering budget travel services. 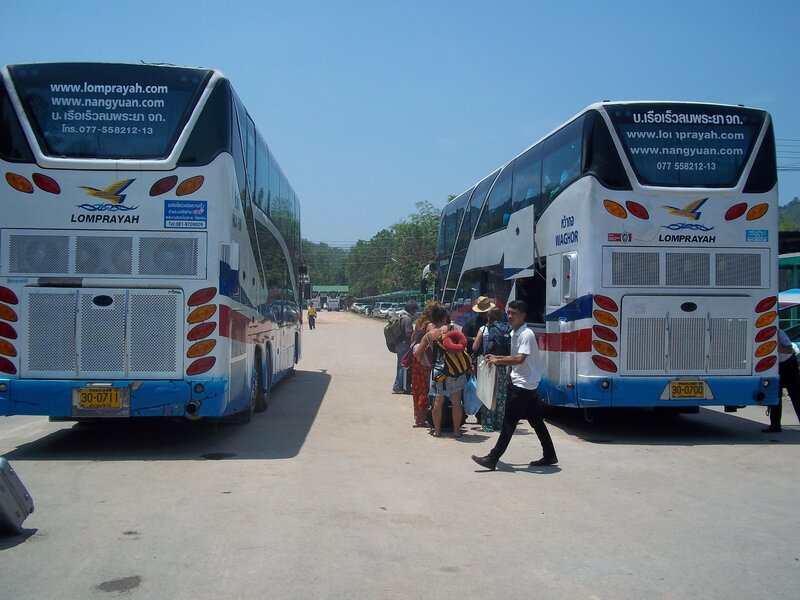 The Phantip Travel Company operates its own fleet of bus and minivans, however, at the present time it does not operate its own ferry services. For routes from Koh Phangan the Phantip Travel company uses the Raja Ferry which is a large car ferry. These car ferries are basic but highly reliable: the Raja Ferry still runs when the sea is rough for other boats to make the sea crossing. Raja Ferries have indoor and outdoor seating, a small shop, and plenty of room for customers to move around. A ferry from Koh Phangan to Donsak. Bus from Donsak to Surat Thani city. Minivan or bus from Surat Thani city to Krabi town. Taxi from Krabi town to Klong Jilard Pier. Ferry from Klong Jilard Pier to Koh Phi Phi. It makes good sense to take the direct service from Koh Phangan to Koh Phi Phi as travelling independently involves five separate stages. 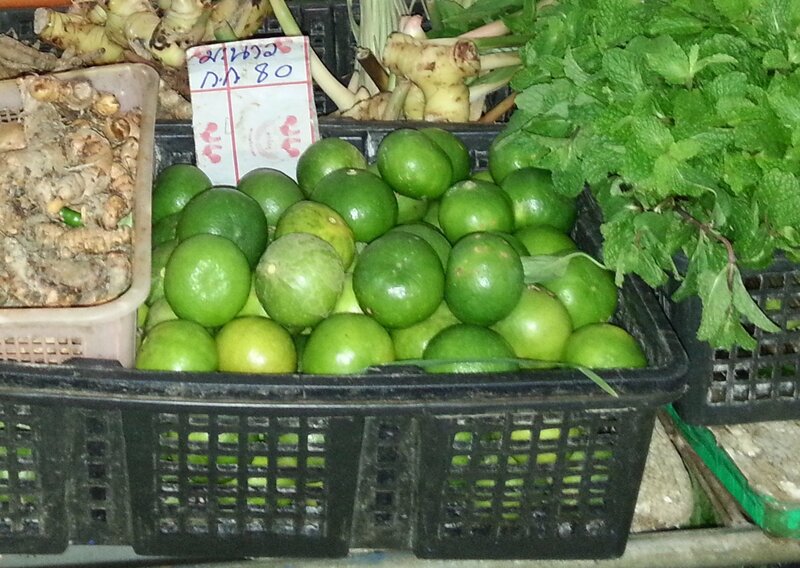 It is complicated, easy to get lost on route, and only 200 to 300 THB cheaper than booking a direct service. Only do the journey independently if you plan to stop on route for one night or more, otherwise it makes little sense not to take a direct service. To be certain to be able to make the journey from Koh Phangan to Koh Phi Phi in one day you need to book a ticket on the Seatran Discovery Company’s direct service. The arrival point for both the Phantip Travel and Seatran Discovery services is Ton Sai Pier on Koh Phi Phi island. Ton Sai Pier is located on the short stretch of concrete road in the centre of the island. 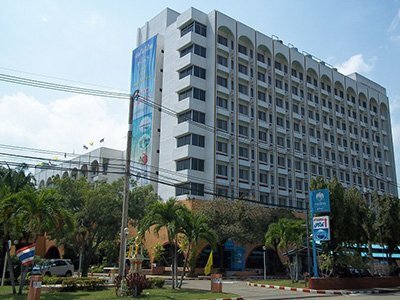 Most of the resorts and other amenities are clustered in this area as well so it is a good arrival point.